Italian sports car maker Ferrari set the internet abuzz this week after it issued a directive to its employees to cut down the number of group emails they send and talk to their co-workers instead. The risk to the Canadian financial system from consumer indebtedness and the heated housing market has abated over the past year but is still present and merits monitoring, a Bank of Canada official said on Wednesday. "We are seeing a moderation over the last year in both the buildup of household indebtedness and also the related imbalances in the housing market," said Bank of Canada Deputy Governor Timothy Lane in response to an audience question following a speech in Toronto. "At the same time ... that's not to say that the risk has suddenly disappeared, and it's still a risk that we're watching very closely," he said. 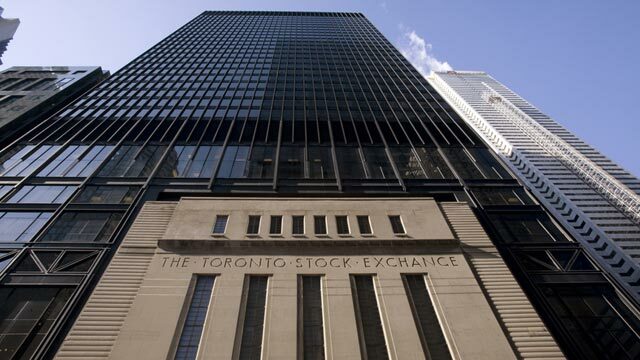 Canada's main stock index stumbled on Wednesday after telecoms stocks suffered deep losses on reports that U.S. giant Verizon Communications Inc (VZ-N 50.66 0.22 0.44%) is looking to enter the market, while gold miners shares were pummeled as bullion prices tumbled. Weakness in the two sectors more than offset gains in financial shares after U.S. data helped calm fears of a rollback in economic stimulus programs. Sales figures for the new BlackBerry smartphone have been a mystery since the device launched nearly two months ago, but the veil will be lifted on Thursday when the company reports its fourth-quarter results.Continue Reading..
Are you thinking about buying or starting a business? It’s critical for entrepreneurs to organize their days to make sure they’re doing the right things at the right time. That takes disciplineundefinedbut the payoff will be less stress and a better managed, more successful company. Continue reading. Public sector employees in Canada take nearly five more sick, disability and personal days per year than Canadians working in the private sector, at an annual cost of up to $3.5 billion, says Calling in Sick, a report from the Canadian Federation of Independent Business (CFIB). Remember the commercial where a seemingly middle-aged couple invites all of their friends to a party in celebration of their retirement, complete with a giant cake and choreography? Well, unless you’re part of the public sector, which represents 20% of the Canadian workforce, this is not your reality. Public sector pay: already paid $19 billion more every year than if they were paid at private sector norms. Early retirement: full pensions and extended benefits only exist in the public sector. Many civil servants can retire at 55. Governments even top up CPP/QPP for those retiring early. Mandatory hike in CPP/QPP premiums: union leaders want to double these by hiking premiums by 60% for employees and employers. This tax increase will kill jobs. If benefits double, all employees and employers would pay an additional $1,300 per year each. Small business owners and the self-employed would pay $2,600 each! As most government pensions have massive shortfalls, are you certain that benefits won’t be cut when you retire? Retired civil servants in Europe and the US are actually having their pensions cut – as much as 50%. First, fix pensions for politicians, especially MPs. While civil service pensions are often "gold" plated, MPs’ pensions are "platinum" plated. Fully disclose public pension liabilities at all levels of government with the same methodology every year. Right now, the total bill is unknown. Enroll all new hires in the public sector in reasonable defined contribution plans. This already exists for most civil servants in Saskatchewan. Ensure all civil servants pay 50% of their full pension costs. This already exists in most provincial plans. Phase out early retirement for public sector workers. The number of working years should be the same as the private sector. Eliminate top-up of CPP for public sector workers who choose to retire before 65.